HC gerader Rücken kaschiert. Sprache: Englisch. MySQL Cluster has been developed for more than 20 years. The amount of innovative ideas in the product deserves a thorough description. This book covers the reasons why NDB was developed, the initial requirements and what applications it is used in. Covers internal algorithms and how they interact with external APIs and configuration. Contains a thorough description of how you configure both NDB and Linux for optimal performance and availability. 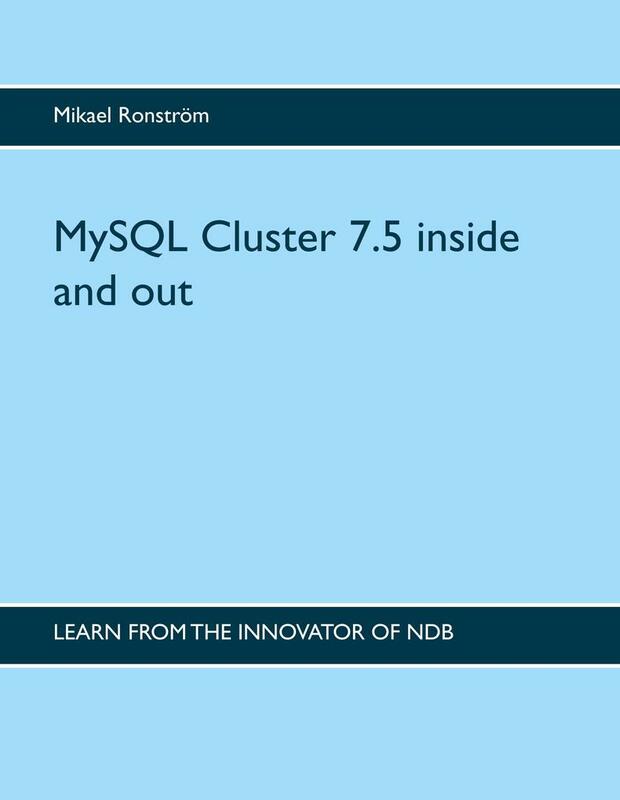 Covers the NDB APIs, the replication between clusters, how to use MySQL Cluster with Docker, how to use NDB in the Cloud. You will learn how to use the benchmark tool dbt2-0.37.50.15 that is heavily used to benchmark MySQL Cluster. Mikael Ronström invented NDB while working on his Ph.D in the 1990s while working in the Ericsson systems department. Since then he has been busy continuing this development. From 1999 to 2003 this development happened inside Ericsson Business Innovation, since 2003 this development has been a part of MySQL. from 4 CPUs to 64 CPUs during 2008 to 2012. He has been involved in early phases of the MySQL Fabric development, assisted the MySQL replication team to scale MySQL replication better. His current assignment at Oracle is as Senior MySQL Architect.